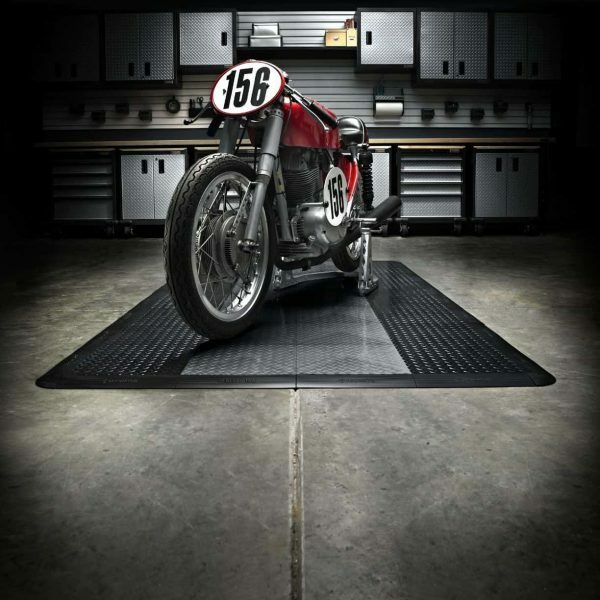 A garage is an asset that wears many a different hat. 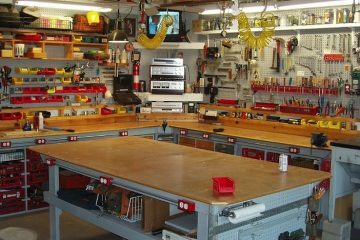 It can be a workshop, a gym, a dojo, a sanctum, a storage unit – or simply a garage, as what is intended. 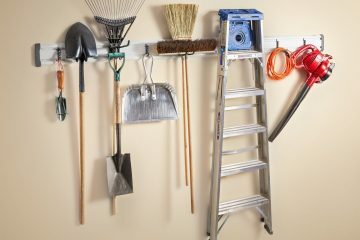 Whatever purpose bestowed upon a garage, it’s important to get the most out of it, both keeping it from collapsing into rubble and extracting every use possible to get out of it. Proper maintenance and regular care are important, but what about preventative measures, something that will both save time, effort, and money? A particularly insightful and observant reader can probably already guess what I’m carrying on about; the garage floor pack. Chances are if you know what a floor pack is, there isn’t a need to inform of the benefits, but if not, there are some practical things to be gained from them. 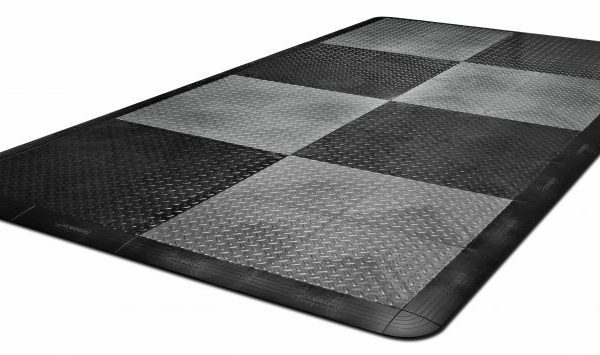 Floor packs are protection against whatever contaminants and shenanigans that may occur in a garage, oil, gas, water, dropping a particularly heavyweight, all manner of things, and can be identified as essentially big foam squares with jigsaw-puzzle borders. This not only broadens horizons as for what can happen in your garage, a home gym, a mechanic’s shop, maybe? But it also puts an owner’s mind at ease that whatever they do, their floor will be safe. 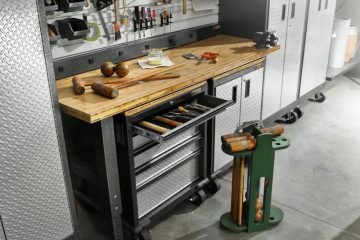 Garage floor packs are great for both amateur and professional mechanics and craftsmen. 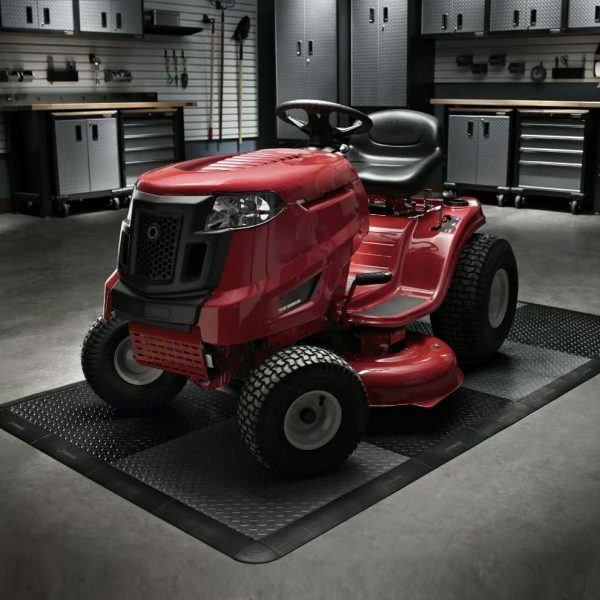 Gladiator’s Floor Packs are capable of withstanding pressure from all sorts of heavy machinery and vehicles, keeping a work area floor safe and without a crack. And in the case of old sunders in concrete or stains from whatever mechanical fluid sullying your style, they’re great at covering those up too. This saves a load of time when it comes to maintaining the floor, making clean up a breeze instead of a stressful extra and unavoidable task. A common question is; if by laying out a fleet of these tiles, is one not just moving the clean-up from the garage’s concrete to the garage’s added tiles? While this is true to a degree, thankfully, their material can stand up against corrosion and stains from oil, gas, antifreeze, and salt so it can pretty easily shrug off a blast of water from a hose or steamer. Minimalists can rejoice, simply sweeping will often be enough, so maintenance is a breeze. Installing them is as simple as saying “no assembly required,” and anyone who played with blocks as a child or knows how to snap a puzzle piece together can assemble these babies blindfolded. They’re light enough that even someone born with glass bones and paper skin wouldn’t strain to put them together, making transportation a cinch. No fuss, no riddles, and best of all, no extraneous expenses of hiring someone else to assemble it. A good floor pack also needs to be able to withstand extremes in temperature, and Gladiator’s go anywhere from -17 to 48 degrees centigrade, so there’s no worry of them freezing into ice sheets in the winter or melting in the summer. 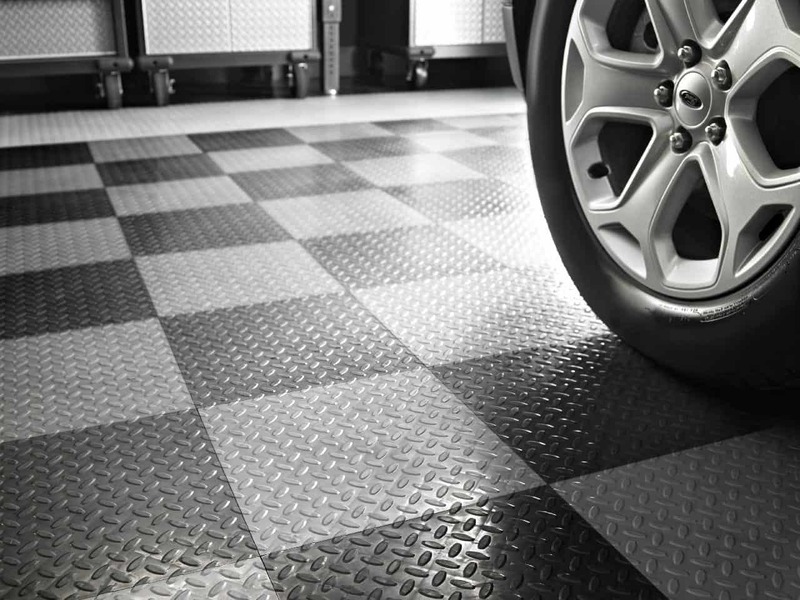 For the more “aesthetically minded” home mechanic, Gladiator Floor Packs also come in two colors, and there’s a black trim to really tie the look together. Make a checkerboard pattern, or get creative and try to make art from them, with an elaborate geometric or fractal design, show everyone that you can be both an artist as well as a master of machines.